While Phillip Ervin is quick to not blame his 2013 wrist surgery for his subpar season the following year, evidence is mounting that a return to full health was all he needed to get going. The Reds' No. 9 prospect slugged a pair of homers and plated three runs as Class A Advanced Daytona routed Dunedin, 9-1, on Tuesday. Ervin led off the game with a homer to left field for the Tortugas. The 22-year-old outfielder then capped a seven-run sixth inning with a two-run long ball to left-center in his first two-homer game since July 25, 2013 with Rookie-level Billings. "It feels really good to do that," Ervin said. "The second one, I felt like it was pretty good. It helped that [reliever Jimmy Cordero] was throwing 98 mph, I just had to get the barrel to it." The Alabama native has gone yard four times in his last seven games. He has started the season swinging the bat well, hitting .343 with six homers, 14 RBIs and 19 runs scored in 19 games. Ervin attributes that to hard work in the offseason and a lot of early work with his coaches. "I'm just trying to have fun and not put too much pressure on me," he said. "The fact that I am hitting well right now, there's no pressure on me going up there." The 2013 first-round pick is particularly buoyed that his success has come in the Florida State League, traditionally considered a pitchers' league. "Everybody told me it's a pitchers' league, so the fact that I am doing well gives me confidence," Ervin said. "It feels good that I am doing good in a pitchers' league." The strong start has helped put to rest his rough 2014, in which he compiled a .237/.305/.376 slash line in 132 games in Class A Dayton. "I don't know if it's just that last year I was coming off wrist surgery and the strength wasn't there and now I'm getting it back," Ervin said. "I've always had power, it's just started to come back. I don't want to blame last year on the wrist surgery. It felt fine, I don't want to use that as an excuse for the year I had last year." 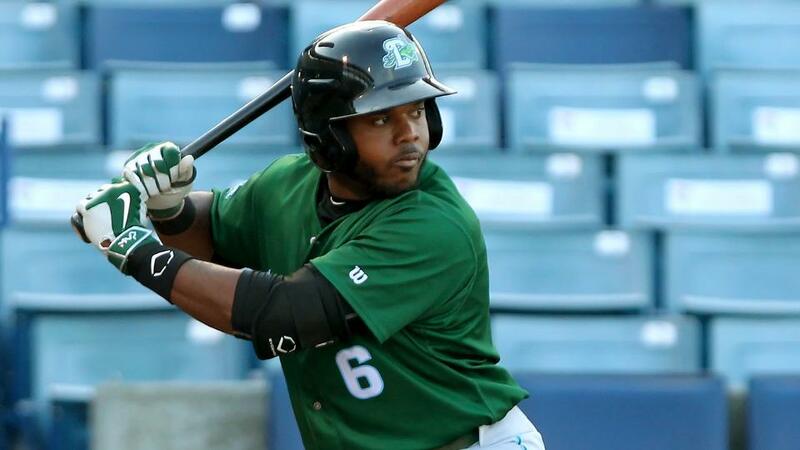 Carlton Daal drove in a pair of runs and Robert Ramirez scored twice for the Tortugas. The offensive outburst helped make a winner of Cincinnati's No. 5 prospect Amir Garrett, who allowed a run on three hits over five innings for Daytona. Luis Santos (0-3) was tagged with the loss after surrendering four runs on four hits over five innings for the Blue Jays.